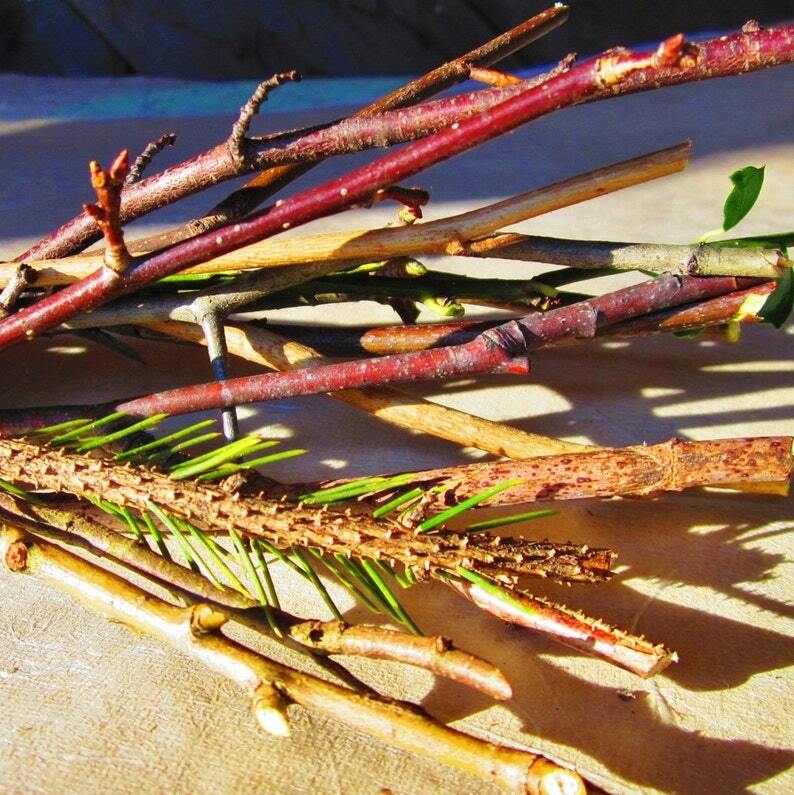 Stock your wiccan apothecary with this bundle of 25 sacred woods. Choose your size from the drop down list - 6" to 9" or 10" to 14". Thickness will vary but most will be thinner than a pencil. All are labeled, and will include alder, apple, ash, balsam fir, beech, birch, blackthorn, cedar, chestnut, dogwood, elder, grapevine, hawthorn, hazel nut, holly, juniper, maple, oak, pine, poplar, reed (cattail), rowan, willow, witch hazel, and yew. Please allow for occasional substitutions. Please click +More and scroll down to read the full description. 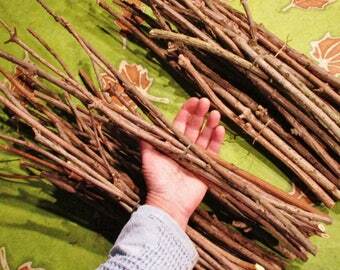 These sticks were carefully and sustainably pruned from healthy living trees or are left over from other projects. There is no greedy, careless overharvesting of wood in this shop. All trees are managed for their long term health and wildlife value. To the Celts, and many other first peoples, certain trees had special significance - as fuel for heat, cooking, building materials, ornamental objects and weapons. But besides their practical use, many types of wood also have a powerful spiritual element. Trees are living things, filled with the essence and energy of the earth, and many older cultures sensed and honored the aura or power surrounding each individual tree. It is not surprising that early cultures that formed in forested environments developed a complex spiritual, interdependent relationship with the trees and forests surrounding them, and today many people who live so detached from the natural world are seeking meaning and connection with more earth centered religions and rituals. Here in New Hampshire, our pristine forests and fields contain many of the same species of trees so honored by the ancient Celts, and also by modern Druids, Wiccans, and Shamans. Special orders can be taken - please convo me with your needs. I take great care to harvest all wood and plants in a conservative and sustainable way. If the tree is alive and growing, I give an offering and expression of thanks before thoughtfully and selectively pruning with the long term health and form of the individual tree in mind. There is no wanton and indiscriminate cutting of sacred woods in this shop. Thoughtless and greedy over-harvesting of natural resources affects many other living creatures in the ecosystem, and I pride myself on being an ethical and environmentally aware forager. Excellent collection, well curated, and well dried. I love my bundle of sacred wood - thanks for putting such a wonderful collection together... it arrived safe, intact, labeled perfectly. Im grateful!